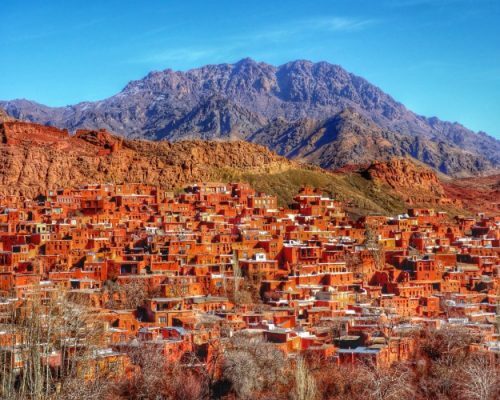 Traveling to Persia is one of the best choices in Christmas Holiday destinations in Middle East. 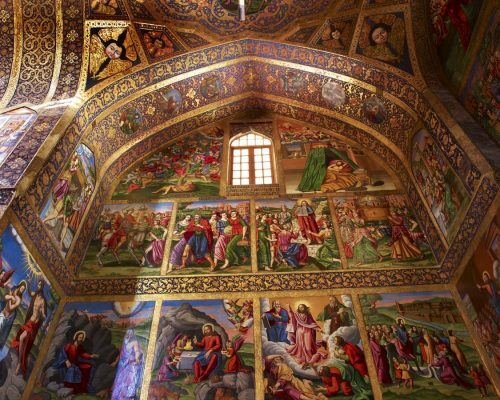 Have a mix tour to Iran Attractions and History, and know more about Iranian Culture in celebrating Christian New year. 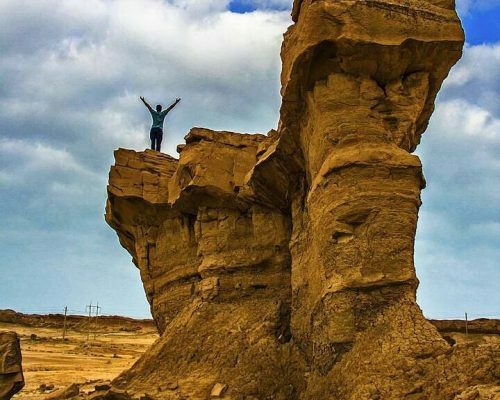 One of the most Amazing Tour in 2019 New Year Holiday, with unique experiences among Christians-Iranians. 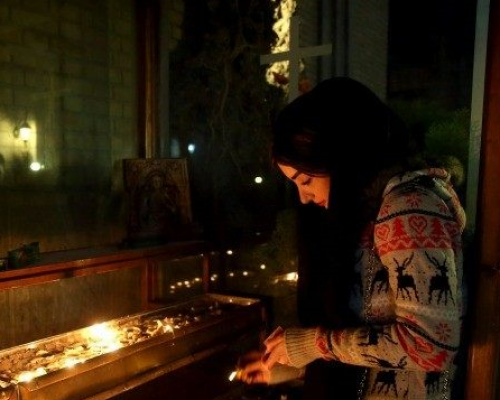 Though Iranians don’t officially celebrate Christmas but you can Travel to Iran during Christmas and New Year Holidays. 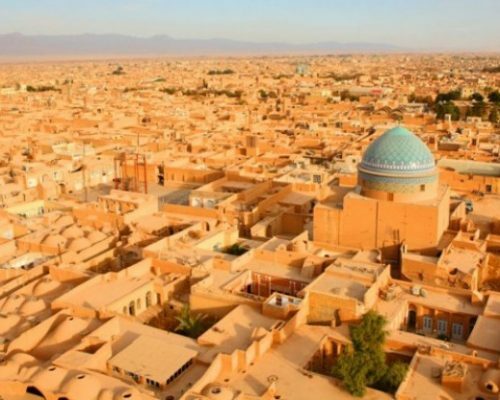 Why to travel to Iran in Christmas time? 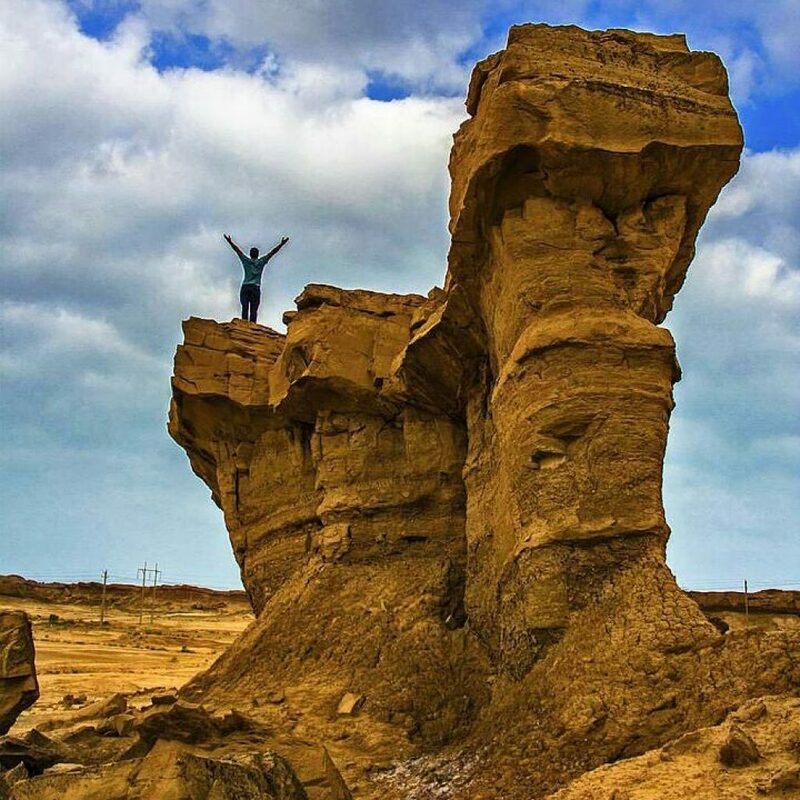 Around December to January, it’s low-season time in Iran and you can have best cost tour price, special discounts with high level of Services. Arrival to Tehran, a city in which the most prominent Iranian politic and social events take place. At the Imam Khomeini international airport, a friendly Agent is waiting to do greetings for you. While transferring you to the hotel, the Agent will help you in important issues of First Day, like buying a Sim-card and Map, Exchanging money, printing out the Itinerary, etc. 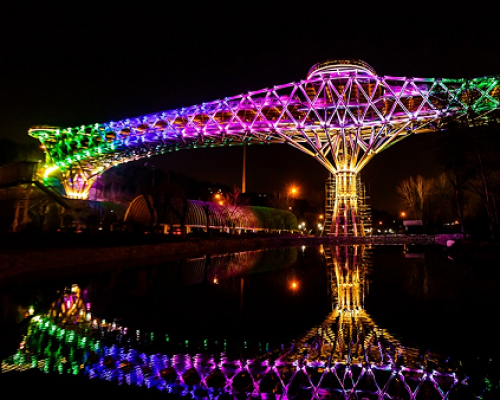 Based on time and your interest, you can have a city tour to the greatest walking bridge of Middle East, which is made between 2 parks and on top of a highway. 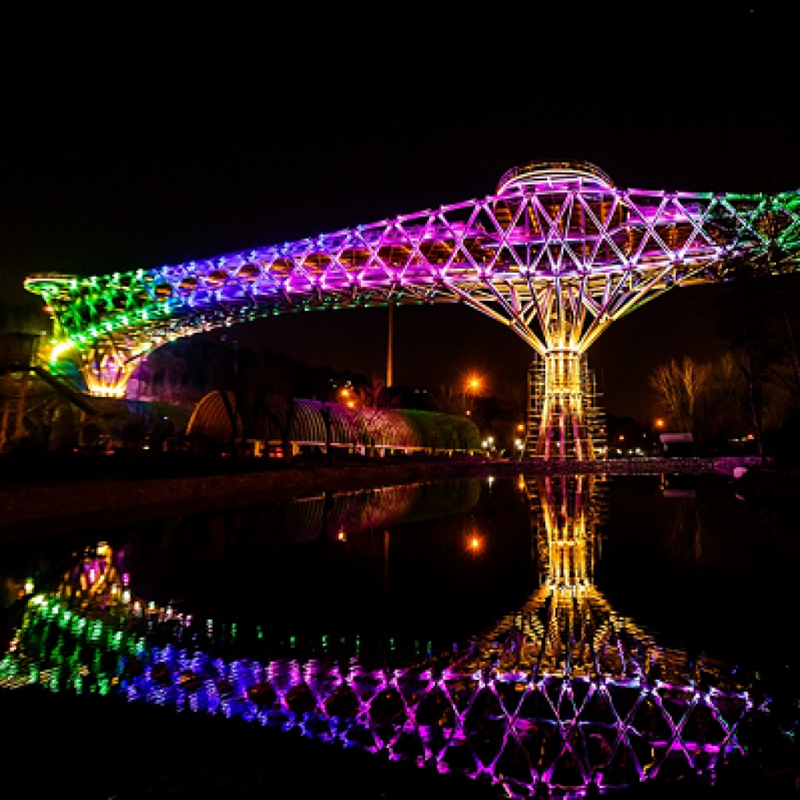 Nature Bridge (Tabiat Bridge), with the view of city lights combining with giant trees and being among modern local people. Having breakfast, then starting our Day going to St. Mary Church, spending some time with the Iranian- Armenians, doing some prayers, asking Jesus to cherish our New Year! 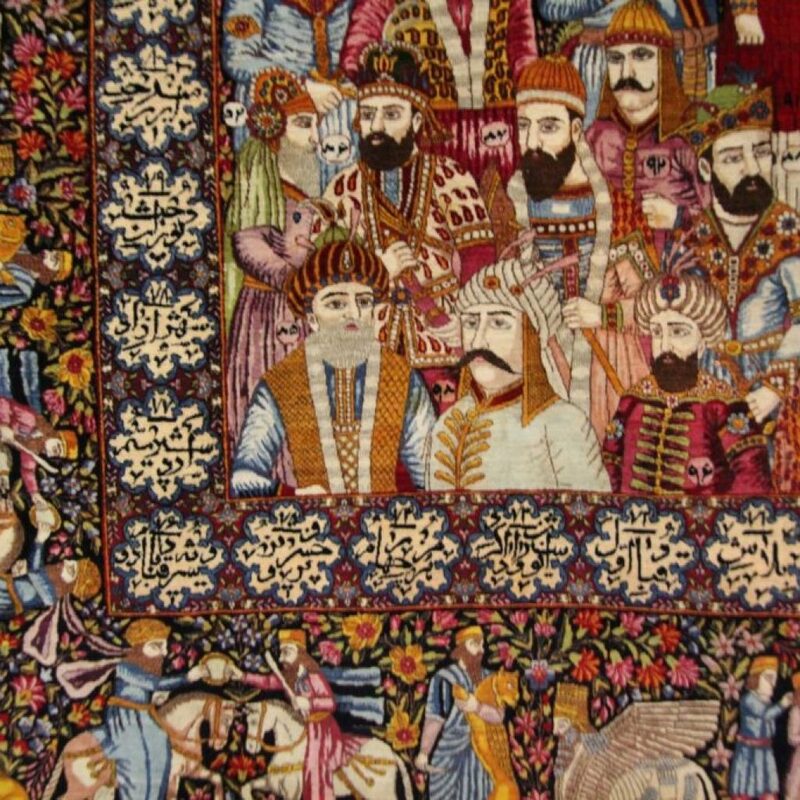 Then going to Carpet and Glass museum, taking a close look at beautiful Persian art, which since 500 years B.C. 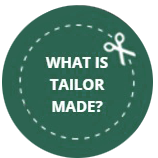 has been one of the most popular handmade product of Iran. After that visiting National Jewelry Museum, a little treasury of precious Jewels, made of gold, Silver, unique stones and shining gems. Visiting Shams-Al Emarat, where 9 kings have crowned and the Marble throne in Golestan Palace complex. After Breakfast early in the morning, we will fly to Shiraz. In Shiraz visiting Karim Khan Citadel. This Big Monument which seems to be simple and from outside, have charming drawings inside. A citadel which was used both for residential of royal families and used as a military base. Then we will visit Vakil bath! 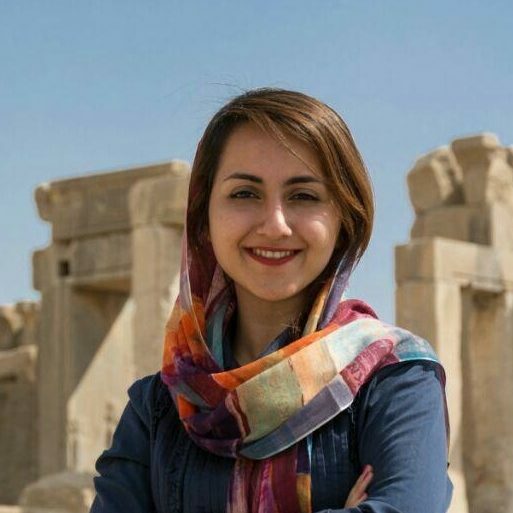 It may be shocking that Traditional baths in Iran weren’t used only for taking showers! People used to do business, holding some marriage ceremonies, tell stories, doing some medical cures and massage and smoke water pipe in Baths. In Vakil bath, we will visit all these traditional activities with wax sculptures. The Bazaar is also close and worth your time! 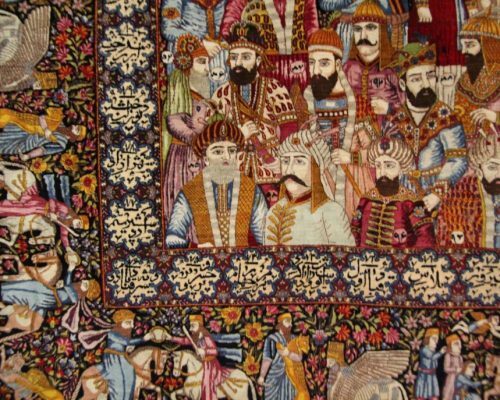 Let’s walk through this old Market and listen to the story of Persian dealing style. 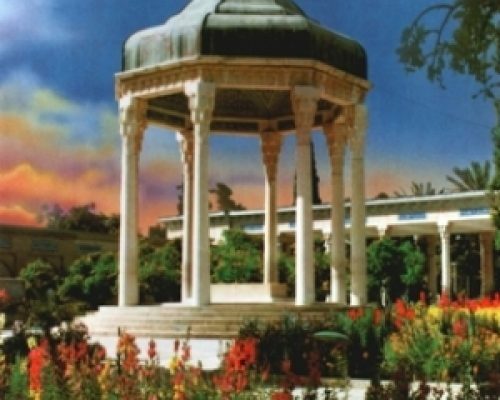 In the afternoon when the sun sets, we will go to Hafez Tomb, spending our time in the garden around his monument and reading some translation of his poems to be familiar with one of the dearest poet of Iran. There is a little mosque which can make a great memory in your tour! The Rose mosque, a place which reminds the sense of heaven to us! Also named as Nasir al Mulk mosque! After that, we will have an excursion to Parse City (Persepolis), the remarkable Achaemanid heritage which is left for the whole world! Walking through the palaces, hearing the history, the story of symbols and bas-reliefs. Coming back to Shiraz, we will stop in Quran Gate and have a delicious ice-cream in Baba Bastani little shop. The Loot Desert is waiting for us, early in the morning we will drive to Kerman. We’ll have a 7-hour drive though we will stop in Estahbanat region and spend some time there. Estahbanat Rain fed Fig System is entitled in FAO heritages. The saffron of Estahban is one of the best saffron of Iran, and the nuts are also delicious. Breakfast at hotel then having an excursion to see the monsters in the desert, Kaluts! There we can trek in the desert, enjoy our winter evening. Coming back to Kerman, we will visit Ganjali Khan square. After breakfast we’ll visit Shazde Garden, Shazde in Persian language means prince. This lovely garden is home to old trees, while it is located in a bare land. 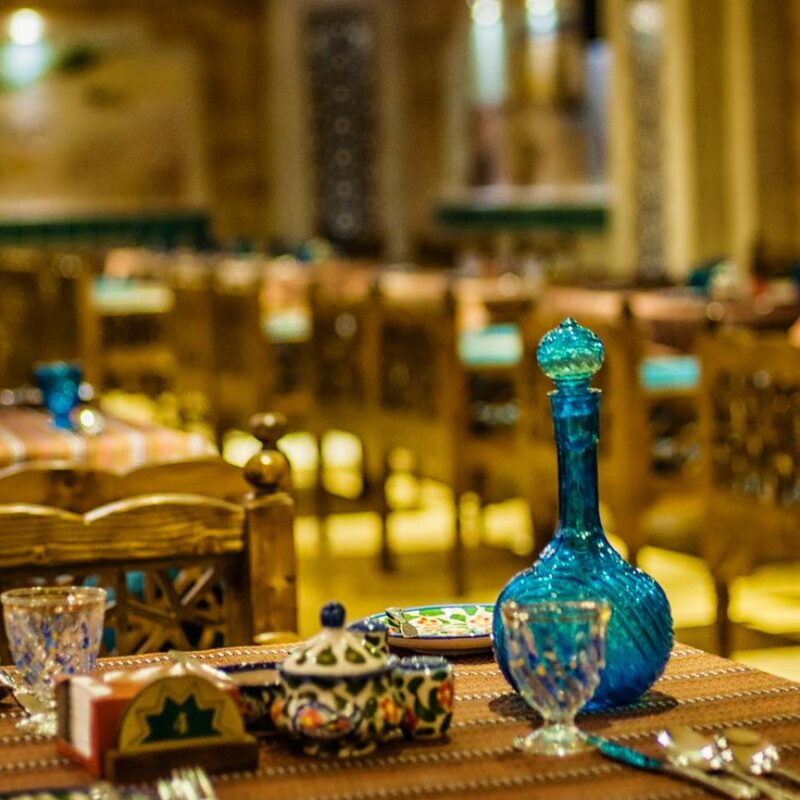 In the middle of prince garden, there is a beautiful summer house which is used as a restaurant. 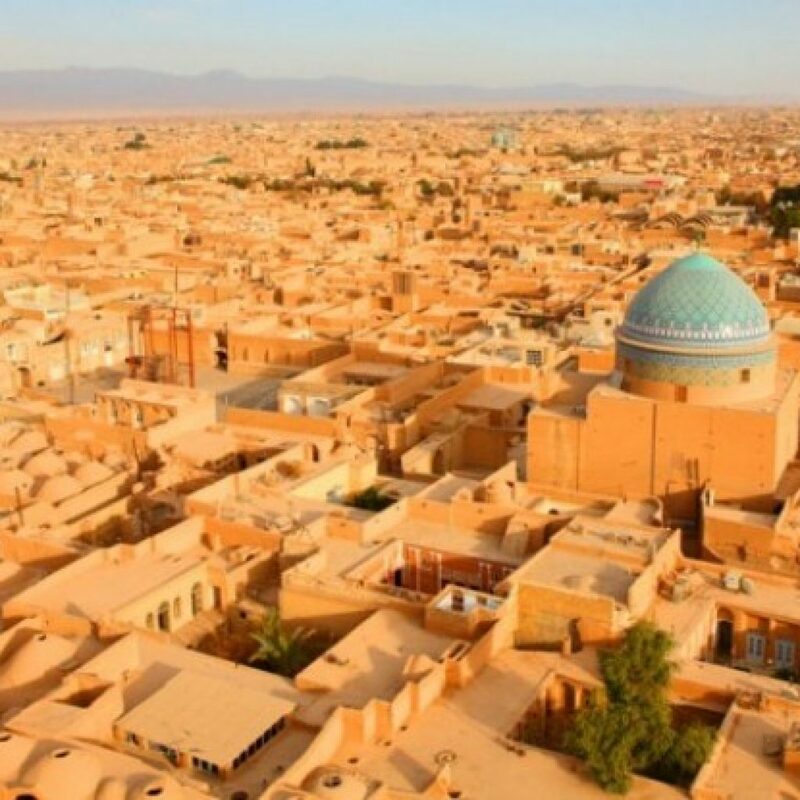 After lunch, we’ll directly drive to Yazd. 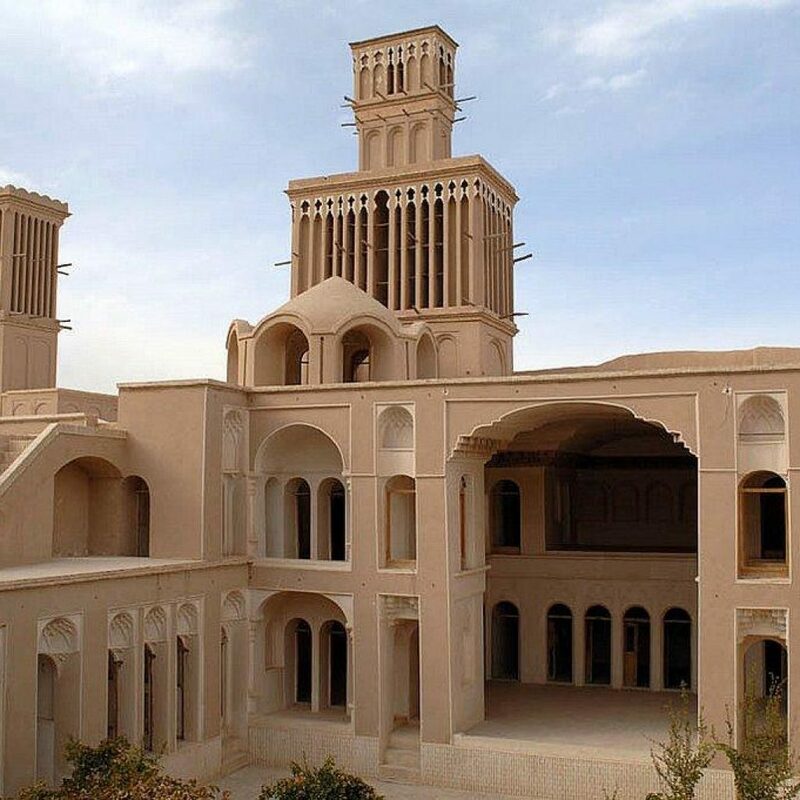 In Yazd the smells of aromatic sweets and stylish houses, makes everyone from all of the world feel like home. 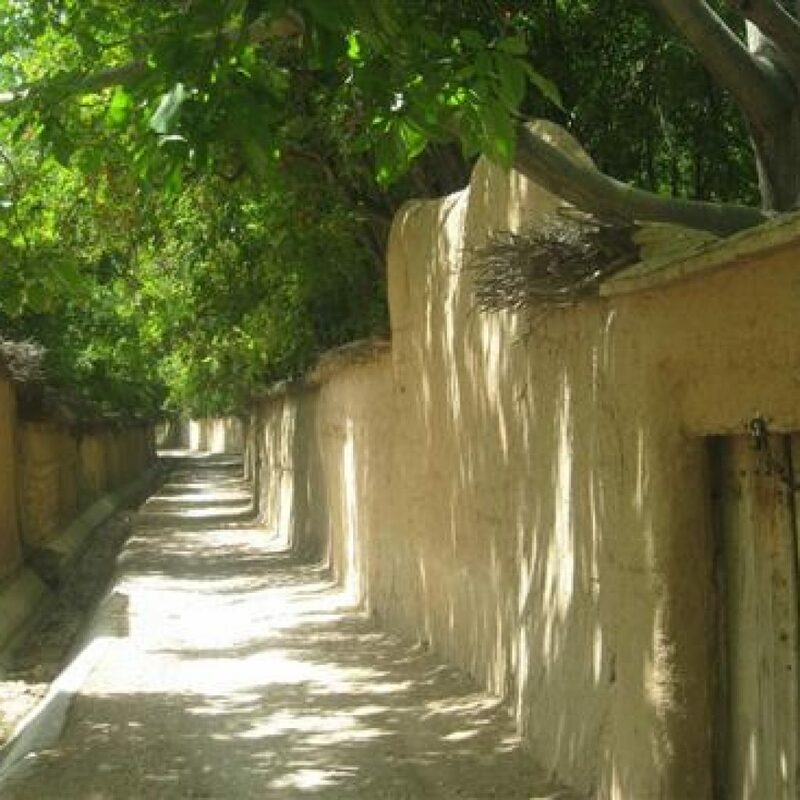 After breakfast, let’s have a look at Dolat Abad Garden, which is a UNESCO world heritage garden, Zoroastrian Fire Temple and Yazd Jameh mosque. 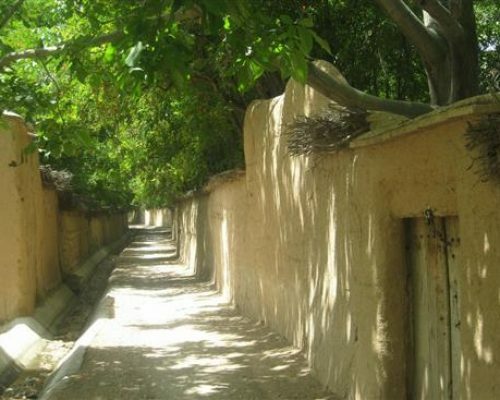 A unique Persian tradition which is very pleasurable to visit is Zurkhaneh! In this old Persian sport club, athletes do some traditions with a heavy weight. To see their interesting exercises is a pleasant experience in your tour. 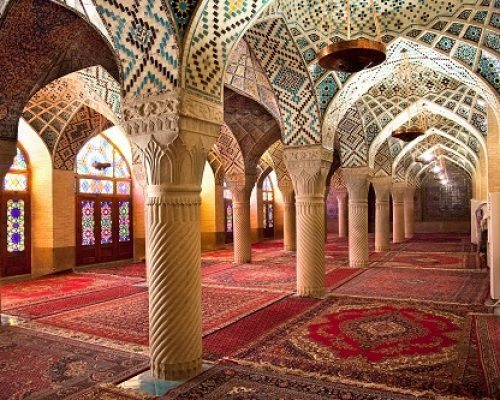 Then we will drive to Isfahan, on the way we’ll visit Naein Jameh mosque. Day 9, Jan. 1st: Happy New Year! The first day of the New Year, we will go to Jolfa region. The Armenian quarter of Isfahan. 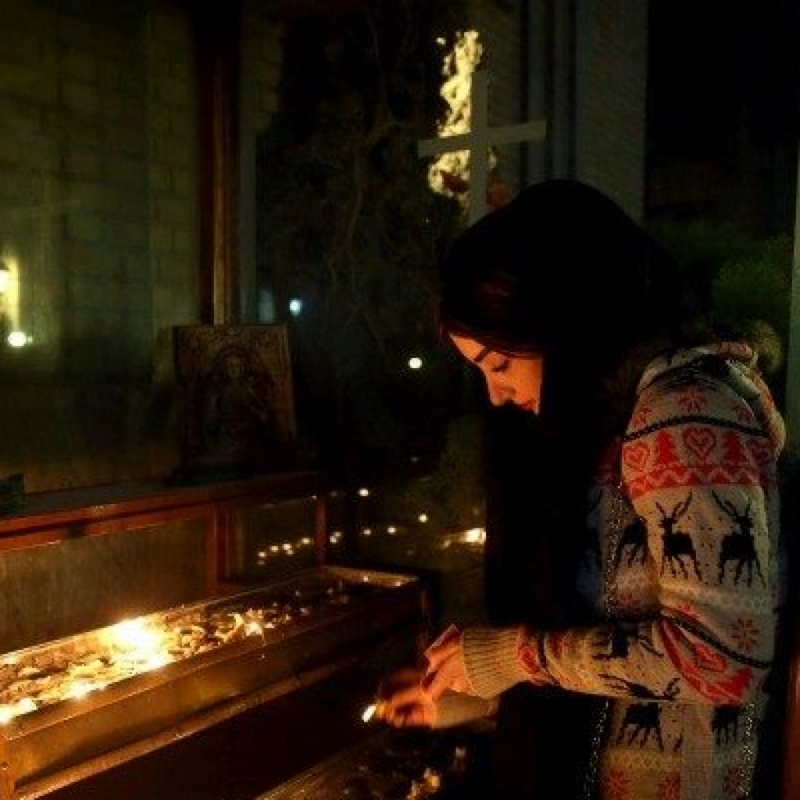 Going to Vank cathedral, joining the Armenian Christians in the New Year ceremony. Iran music instruments and types are very well-known, to be familiar with this intangible heritage. Based on your interest we will visit Music Museum. Breakfast at Hotel, then heading to the Isfahan City Center! The main Square! Naghshe Jahan square which sometimes people also call it Imam Square and Shah Square. This place was once a field of a sport named Chogan! The King observed this battle in the terrace of Ali Qapu palace! Jame Abbasi mosque and Sheikh- Lotfollah mosque and Qeisarieh bazaar are located on the other sides of this square. Today we will visit the whole Naghshe Jahan Complex. Breakfast at hotel, then we’ll drive to Isfahan oldest Bazaar and Jameh Mosque! 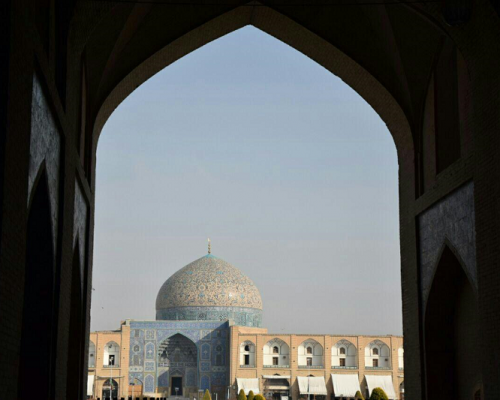 Jameh mosque is one of the masterpieces of Architectures. Though it has a simple décor, the structure of this mosque is unique. 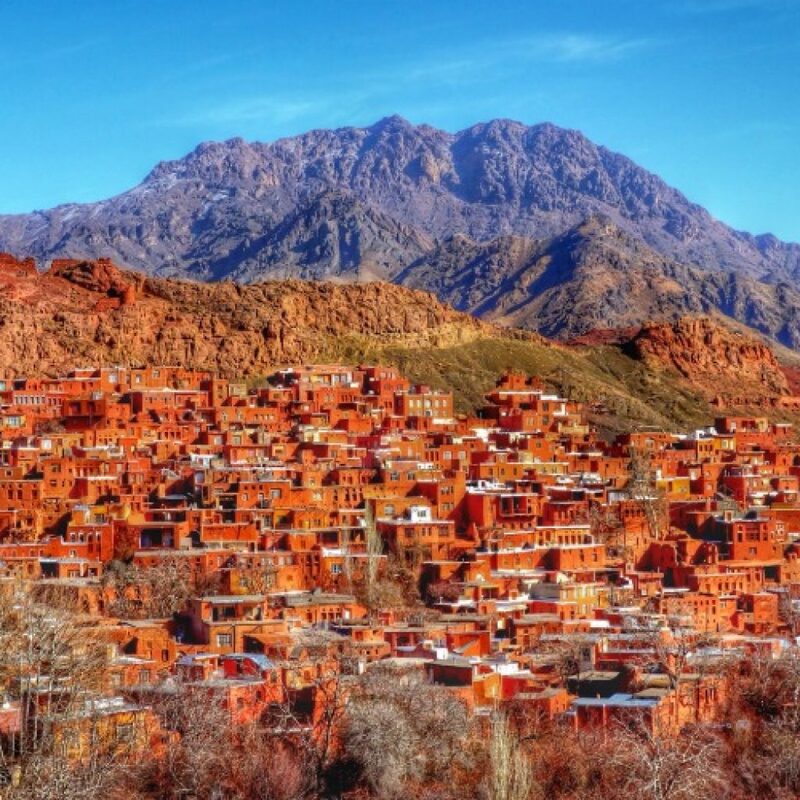 In the afternoon, we’ll drive to the Abyaneh lovely village, the houses of this village are made of red soil, and the whole small city together makes build up a fantastic scene. Trekking in the alleys, wearing traditional dresses and letting fresh air conquer our lungs. Having breakfast, then starting our beautiful day going to Kashan. 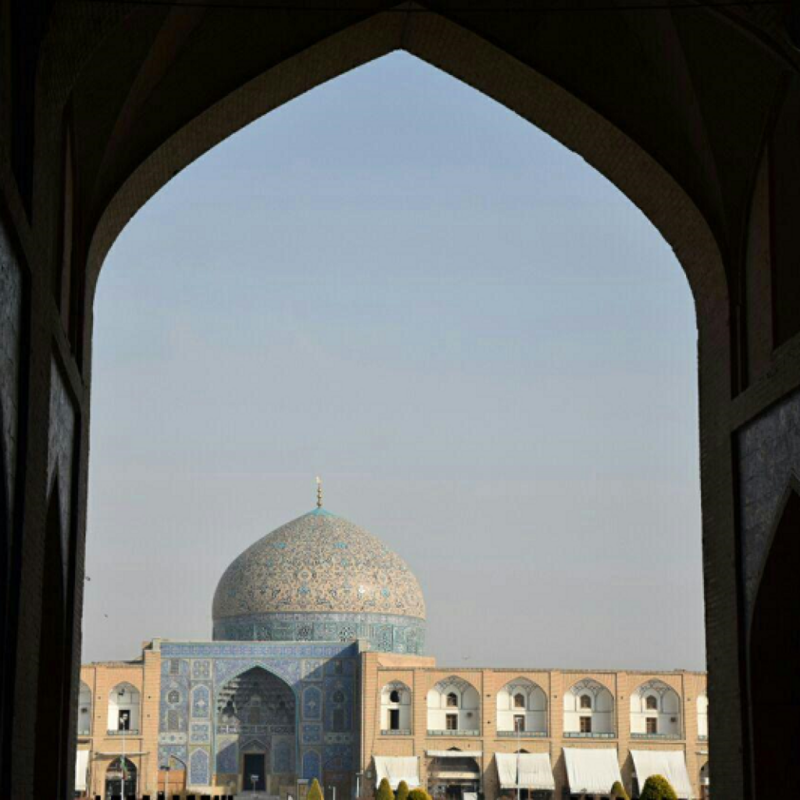 Arriving in Kashan, we’ll visit Fin Garden! In this garden, there is a virgin spring, the mother of little silver fishes. 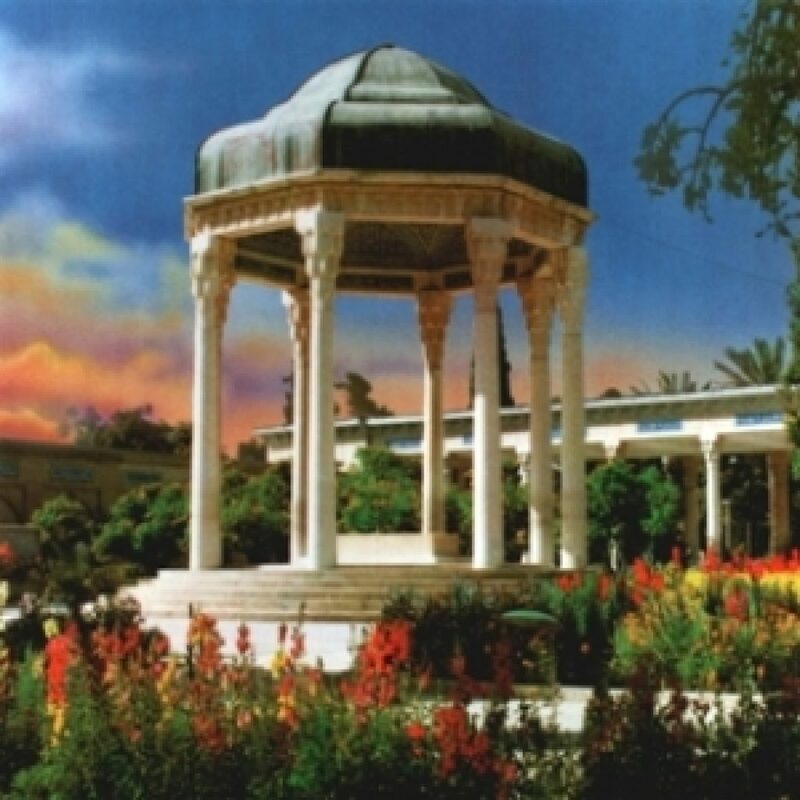 The garden and the small summer house of it are eye catching, and there is a bath in the garden, in which one of the greatest heroes of Iran was killed. If you were lucky, you will find a parrot on the trees! 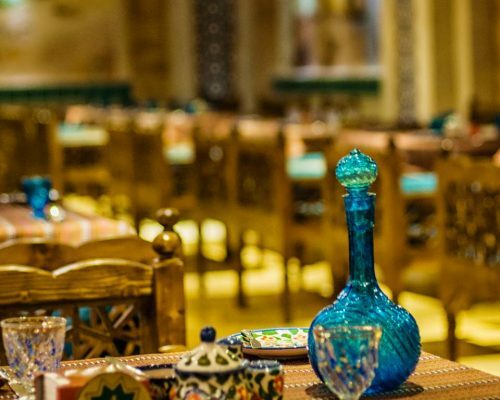 After the beautiful garden, we’ll have lunch in a restaurant nearby, maybe taste some rose juice and take a look at Kashan potteries. 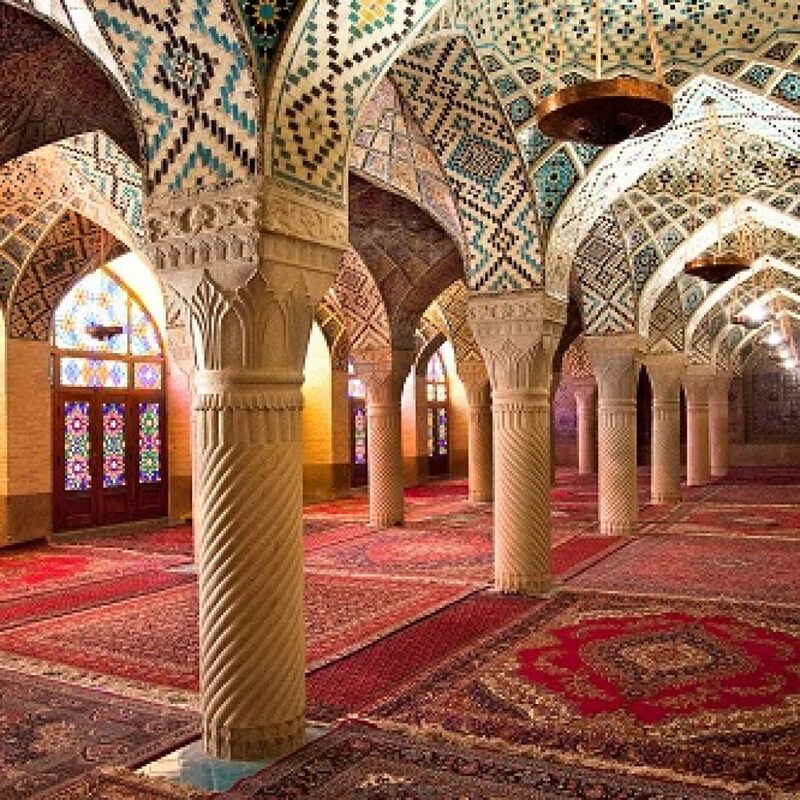 Then we’ll go to Agha Bozorg Mosque and school, the nice double floored structure. In ancient times the mosques weren’t only for praying there were also schools that people from all religion went there to learn all types of science. 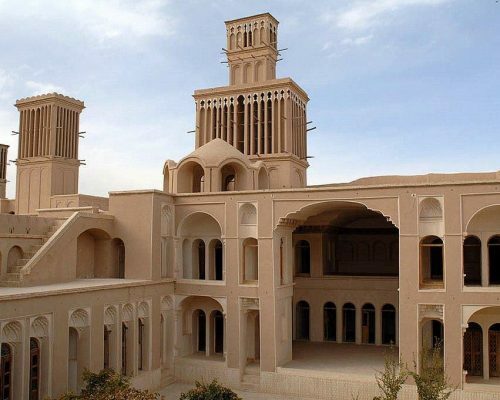 We’ll also visit Boroujerdi House, which was built in the name of Persian love. 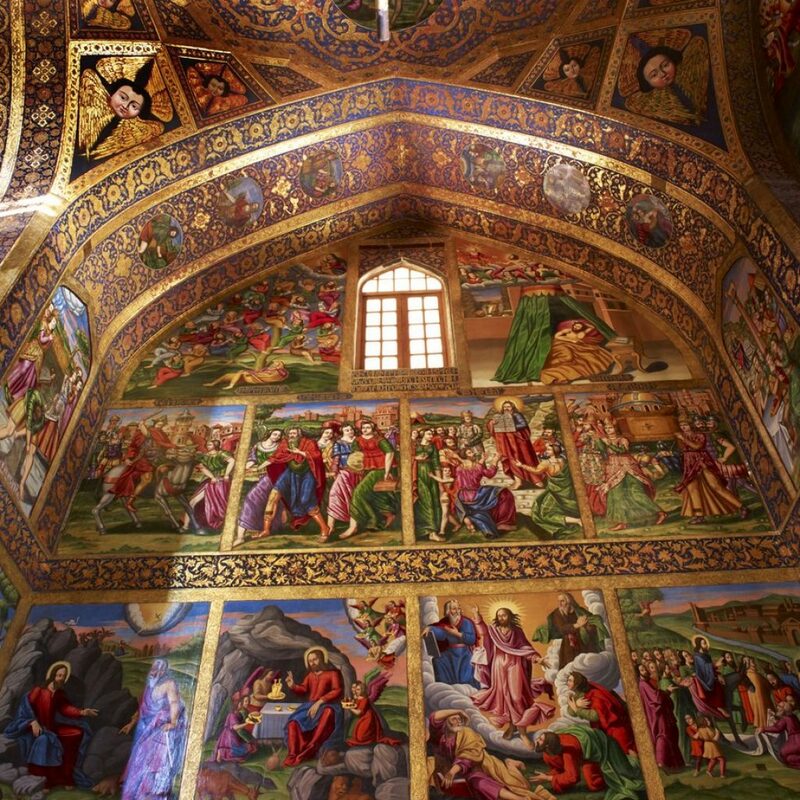 Early in the morning, we’ll drive to Tehran, the capital, and at noon for the communion, we’ll be again at Saint Marry Church. In the end, we’ll have a drive to IKA airport, this journey is finished, and We Wish You an Excellent Year. If you like to spend Christmas in Iran, It’s the best to arrive in Iran before 24th of December. You can have this tour in all time of the year, and visit other places instead of Christmas Celebration. In May, June, July, August, you will have an alternative for Shahdad Desert.